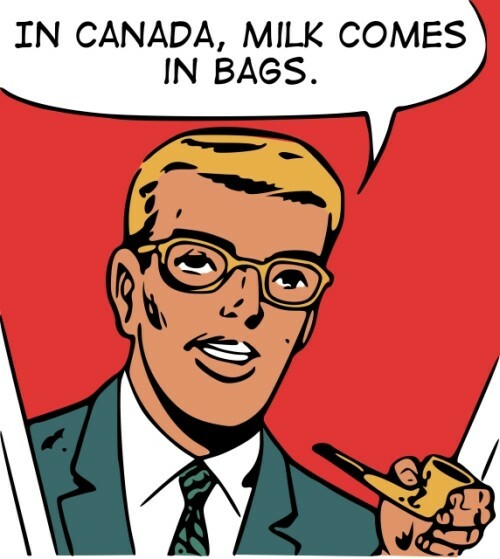 It's true, in Canada, milk comes in bags. No, it doesn't mean that there aren't jugs or cartons of milk. 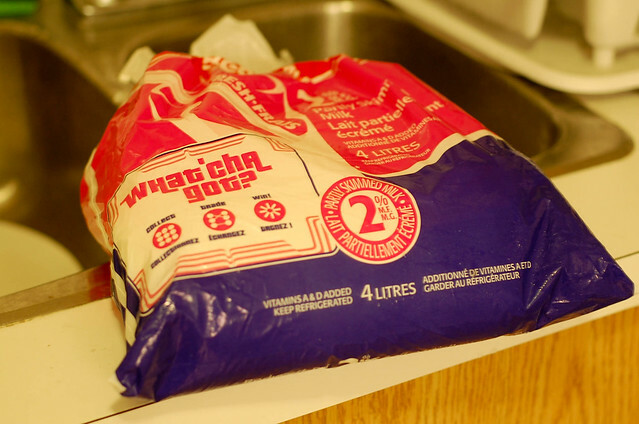 We just have milk bags as well. That makes us crazy right?! No, it makes us cooooooooool and environmentally friendly. According to Wikipedia, 75% less plastic is used. Enough with the ultra fun facts! Enough already! 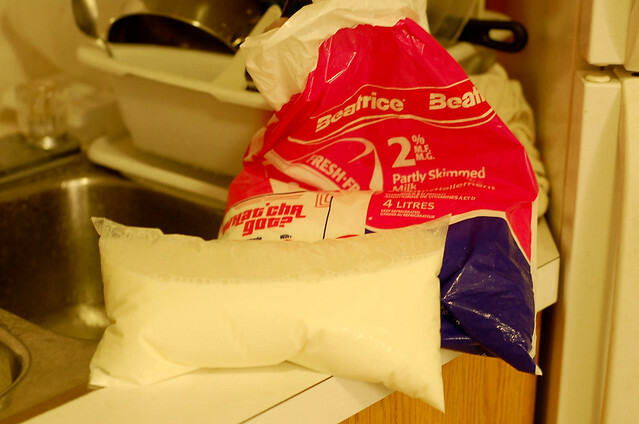 Anyways, I've been in Canada over half my life and tonight, for the first time, I bought milk bags. I feel soooooo complete and satisfied. 1. They come in big bags like this, 4L (1 gallon ;) ). 2. Inside are 3 smaller bags like these! 3. Put in jug, cut two holes at the top. 4. 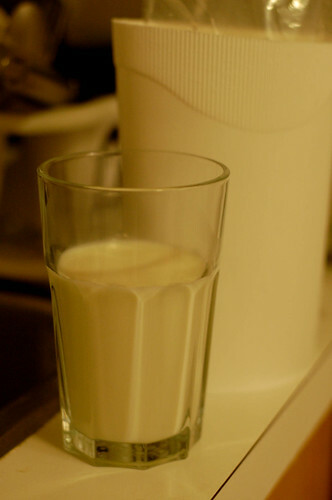 Pour and enjoy milk. Hahaha, oh I guess one hole works cuz' the bag will collapse as you pour the milk? I dunno lulz, I'm a milk bag noob! I'll try that with the next bag though! man how is this the first time you've gotten milk in a bag? 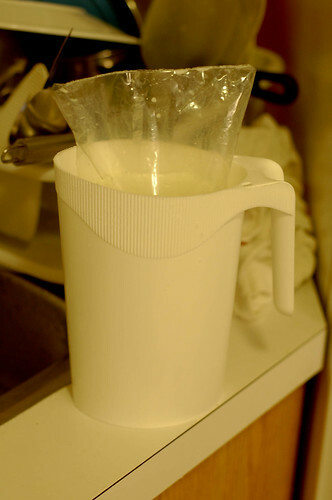 my first memory ever of milk is in bag form. I don't know dude :S We've always had the 4L jug things..